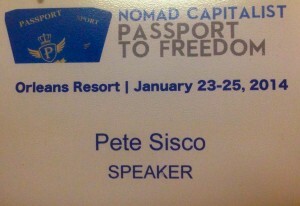 Well, it’s the Monday after the Nomad Capitalist conference, Passport to Freedom. It was a blast and one of the best things about attending was the ability to meet and network with so many people doing their part to move Freedom forward. Andrew Henderson and Matt DuBiel put together a superb conference and kept it moving fast and well organized. In addition to my talk on How To Safely Leave The Rat Race (by taking control of your source of income via an online business) I spoke on two panels about the best places to live overseas and using flag theory to live worldwide. Jeff Berwick from The Dollar Vigilante talked about the increasingly restrictive lifestyle imposed on people in Canada and the US and that his business of helping people get permanent residence and citizenship in other countries is booming. Domingo Silva is the new owner of EscapeArtist.com and talked about the new launch coming on February 1st and the opportunities it will offer both readers and content providers. Domingo is a pro and we can expect him to turn that site into the #1 hub and resource for people looking to escape the coming crash and turmoil in their native country. Stephanie Murphy PhD from LetsTalkBitcoin.com gave a outstanding presentation, Survive and Prosper with Bitcoin. The more you know about Bitcoin the more there is to like. Yes, it is not perfect. But what money is? 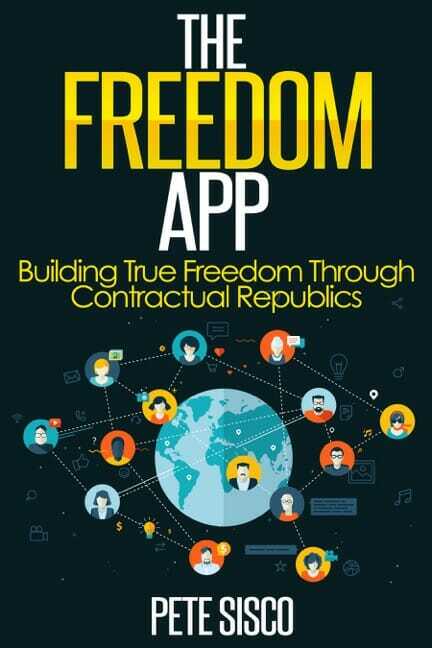 It’s stateless, voluntary, transparent and it’s value varies with market demand. Many of us believe that when major currencies begin to rapidly collapse the market demand for Bitcoin will rise dramatically. I’ll be following Stephanie closely and I recommend you do too. Corey Coates from Overseas Radio Network provided some zen-like advice for embracing the changes that come with re-engineering your lifestyle. 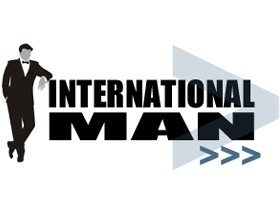 It was a welcome counterpoint to the more hard edged talk of asset protection, foreign incorporation and precious metals strategies that were discussed throughout the conference. Corey speaks with a voice of experience who knows that major life change brings positives and negatives and success derives from the attitude we adopt in the face of those changes. Many thanks to all the people who attended and presented at Passport To Freedom and I hope to see all of you again at the next one.